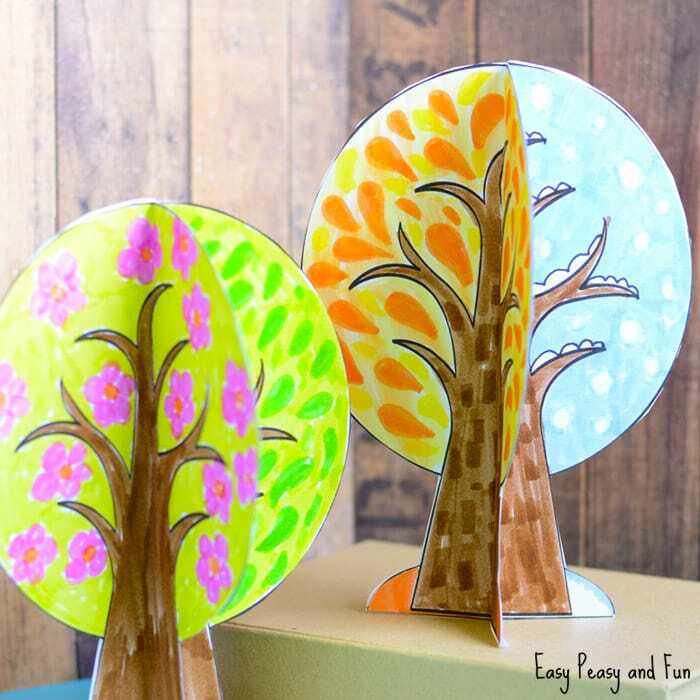 We have a wonderful four seasons tree craft template to share with you, this one can fold nicely into a 4 seasons book or you can assemble it together to stand on it’s own. 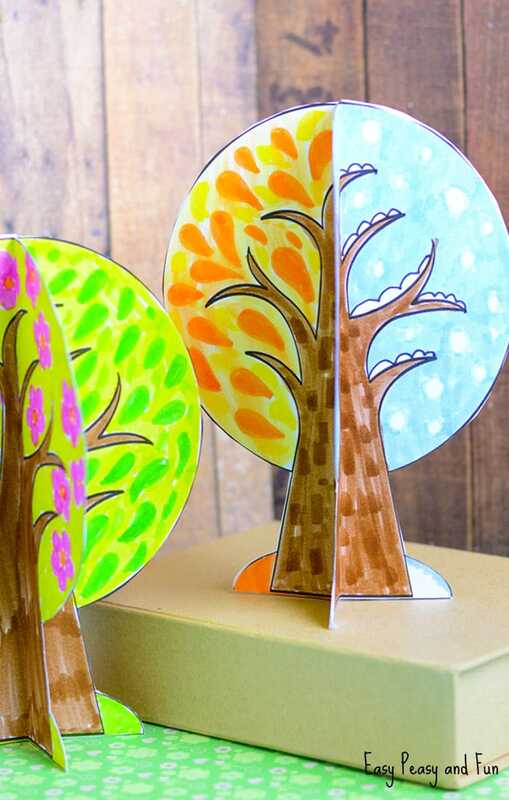 Print our template, there are more versions, and have the kids get creative with their seasons. 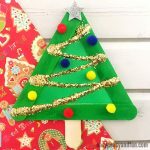 There are many ways the kids can decorate this project, and there certainly is no need to limit yourself to markers, crayons or pens! 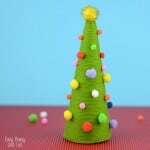 With scrap paper, tissue paper pom poms and other materials that “pop” you can give this 4 seasons tree craft even more dimension. We will talk about ideas for decorating the seasons a bit more in the tutorial itself (we’ve got quite a few for each of the season). 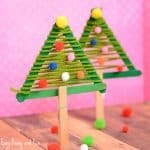 Ready to make your own tree? Go through the tutorial and grab our craft templates! Print out our craft templates. 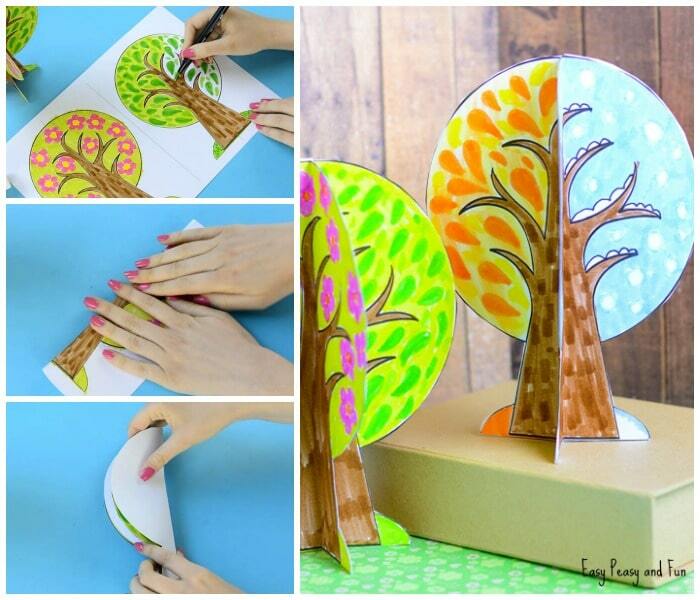 You will need 4 trees for this craft (whichever template you choose). We printed ours on heavier print paper. Regular print paper will work out OK too (just not as stable and durable). Once you have your templates it’s time to get creative and color them all. 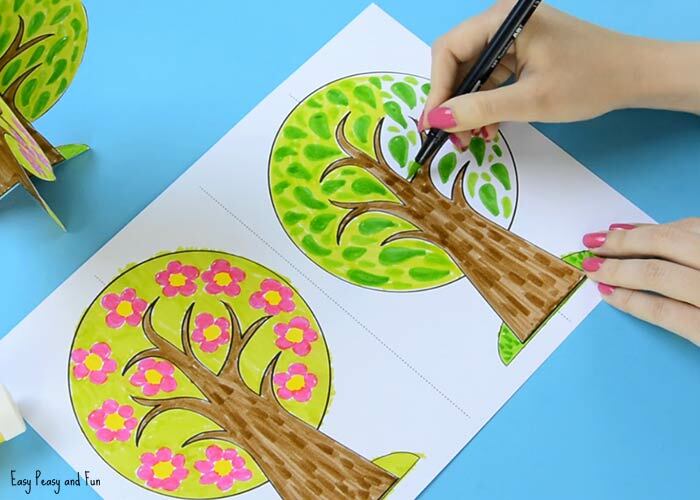 Have the kids color one tree for each season. Let them get as creative as possible. 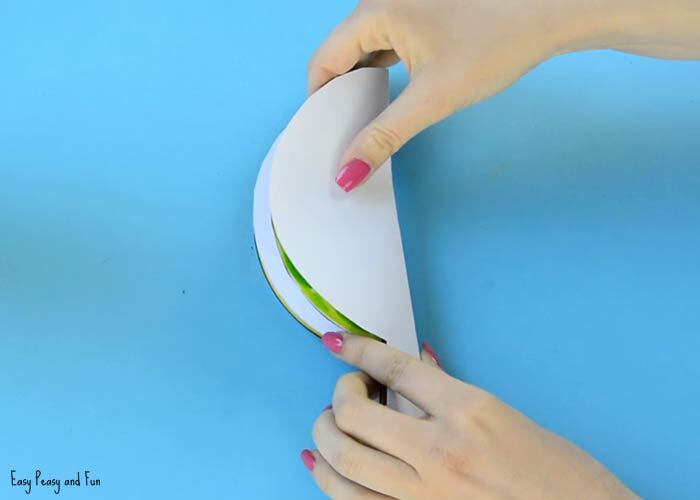 Once all is colored cut the sheet of paper in half (along the dashed line). 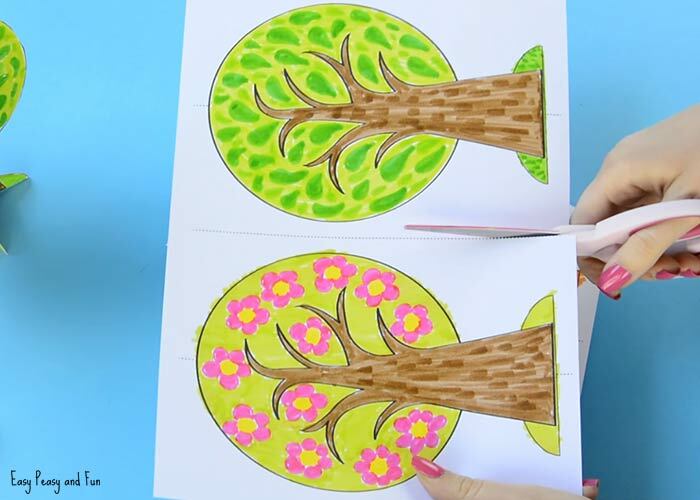 You can naturally cut them in half before the kids start to color. Now we need to fold the trees in half! There are two ways of doing it. 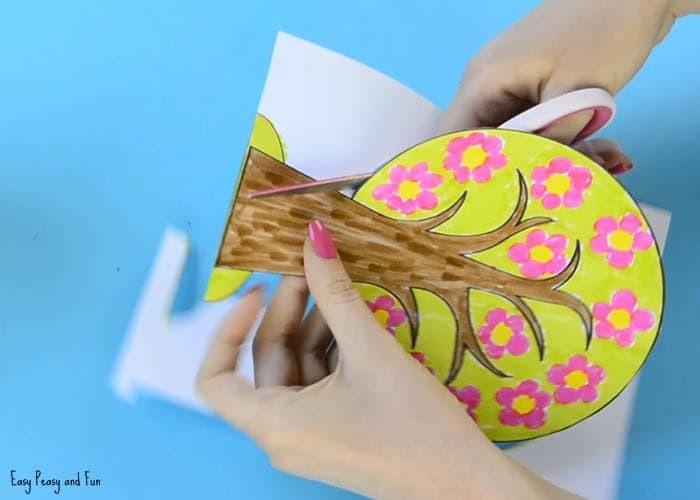 You can do it before you start cutting as we did – there is a dashed line at the top and at the bottom of the tree indicating where the middle is. Fold along that line. 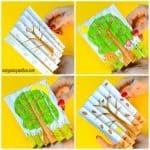 You can also cut out the trees first and just fold them in half when they are already cut out. Fold in half again, this time with the colored side inside. Fold all four trees. 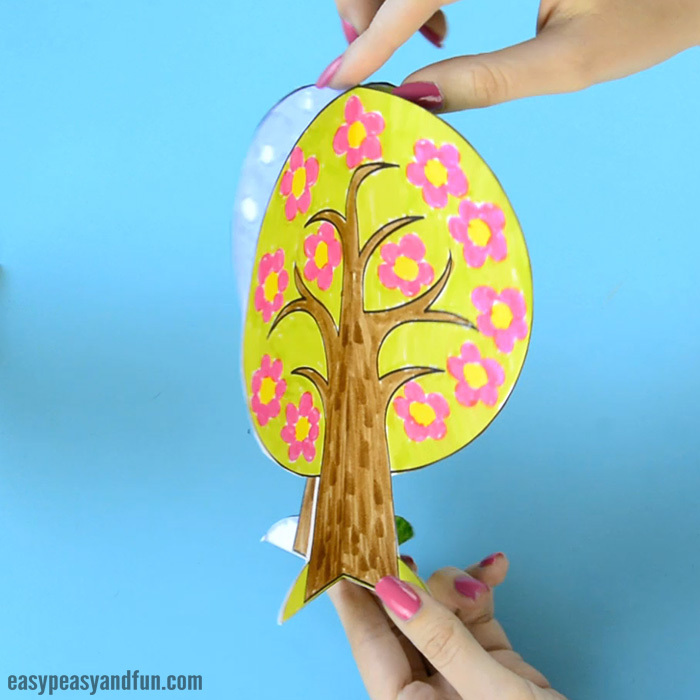 Take the spring tree and apply glue on one side (as shown in the image bellow). 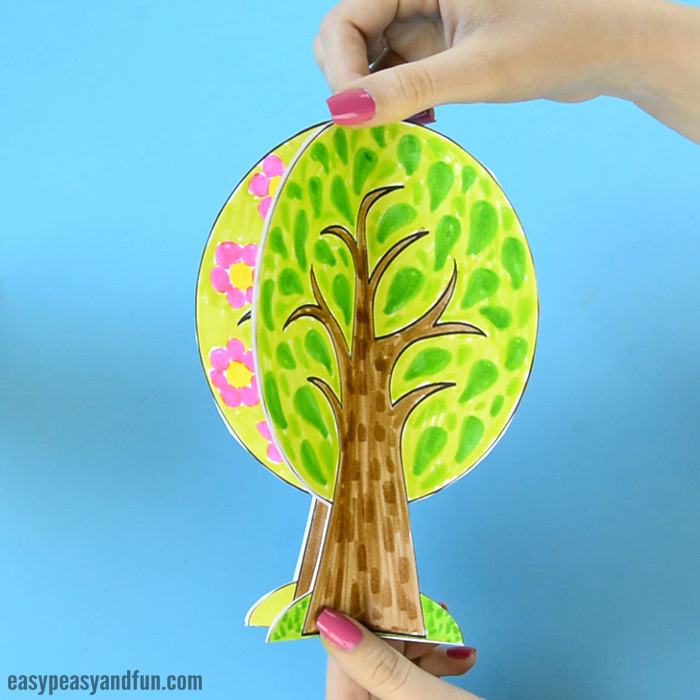 Take the summer tree and glue it on top of the spring one. Press down for the glue to set. 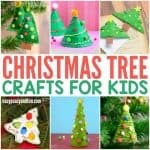 Now take the fall tree and glue it on top of the spring and summer tree. Continue with the winter tree. 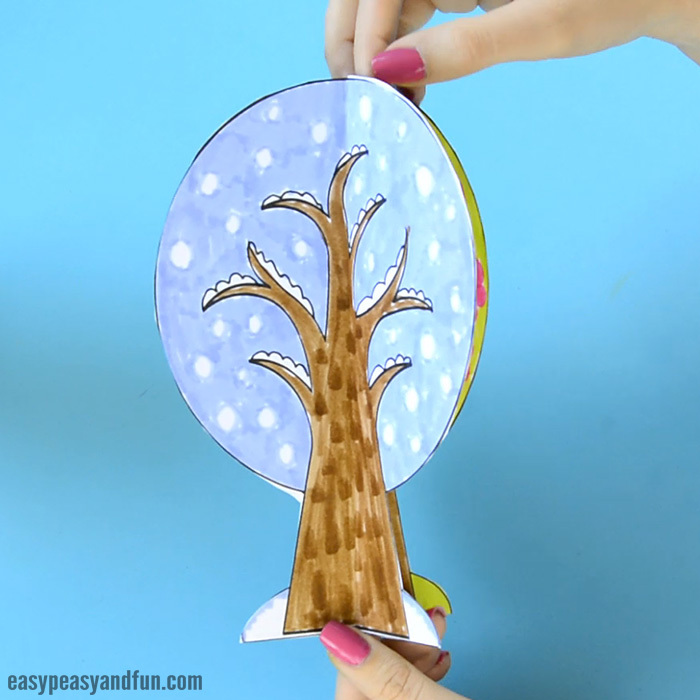 Now to make a four seasons tree craft, apply the glue on the “winter” and glue the winter and the spring together. I would like to print it. I tried but it doesn’t work. Thank you :). There are lots of people trying to download the template at the same time, so this does (sadly) cause a hiccup or two for some of you (something I have been trying to fix). Most of the time a refresh solves the issue, if the issue persists trying again a bit later also helps. I apologise for the inconvenience. Thank you so much:) You’re page is wonderful and i like it a lot. So glad they started working for you 🙂 – we had some issues and are on a good way to completely fix them 🙂 finally! Thanks! Hi! We’ve been having (and fixing) a technical issue that has been causing a few issues. 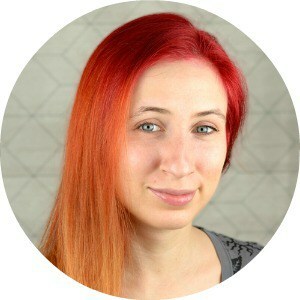 We believe the issue was fixed (clearing your browser cache and refreshing should do the trick) – if you’re still having issues do get in touch via email (on my about me page) or send me a message through my FB page. Hi there, great craft! Not only can I not print a template, I can’t even find any links… Any help would be appreciated. Hey! This would only happen if the page didn’t fully load (you should have seen a from to enter your email address which then unlocks the links). Clearing your browser cache and refreshing the page (mostly a simple refresh will solve the issue) helps. If you are still having issues please shot me an email (you can find it on my about me page) or send me a message through my Facebook page. Thank you so much: You’re page is wonderful and i like it a lot. I love this and would really like to complete it with my year 1 students. I can’t seem to find the link for the templates though?? Can you please advise or send a new link? All good. I reloaded the page and subscribed to unlock the templates. There are no links showing on this project. 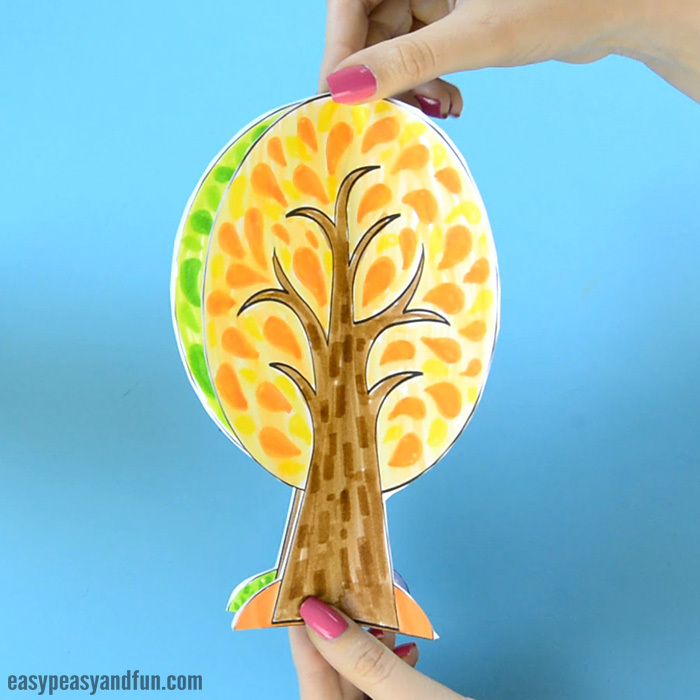 Only “Get the Four Seasons Tree Craft Template Here”. I see links on the other pages though. Can you post a link in the comments or email it to me please? Ignore my comment. Once I commented, the unlock image appeared. HI – trying to unlock the page to download by commenting . . . . Very creative and beautiful model of the four seasons. It is perfect for the children to learn and refer anytime of the year. It’s really pretty! I’m gonna try it out! Thank you! Great! 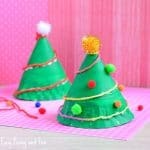 Cute and simple craft for kids.